Hey guys!! Ready for some more fun, Halloween ideas?! I sure hope so! Around the holidays, I’m always looking for fun and simple gifts that I can give to friends, family members and neighbors. It’s such a crazy time of year which means the easier it is the better, and today’s tutorial is super easy!! I thought it would be fun to have cute tags that said, “Something sweet to sink your teeth into” that could be easily attached to some goodies. Here is what you’ll need to make this gift idea. Begin by printing off the tags on cardstock. Cut them out and hole punch the corner. 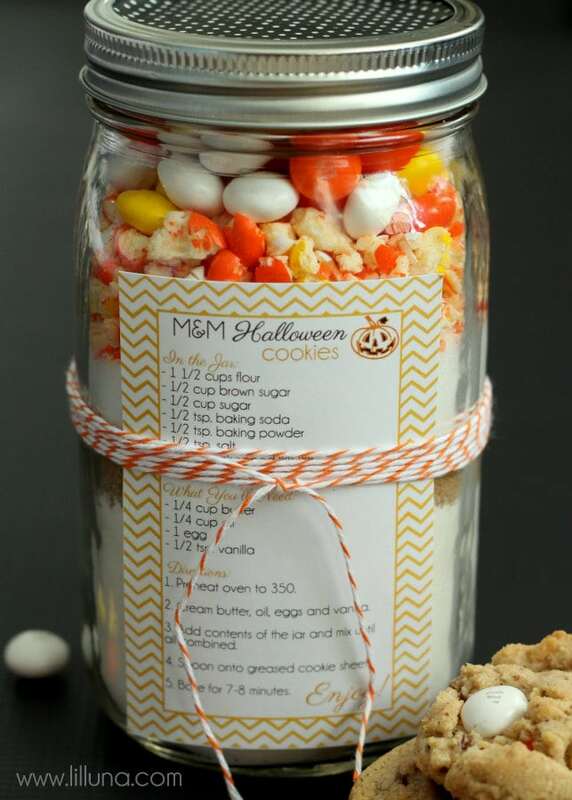 Fill your jar with treats or homemade goodies. Add tag and teeth to twine or ribbon and tie around the top. 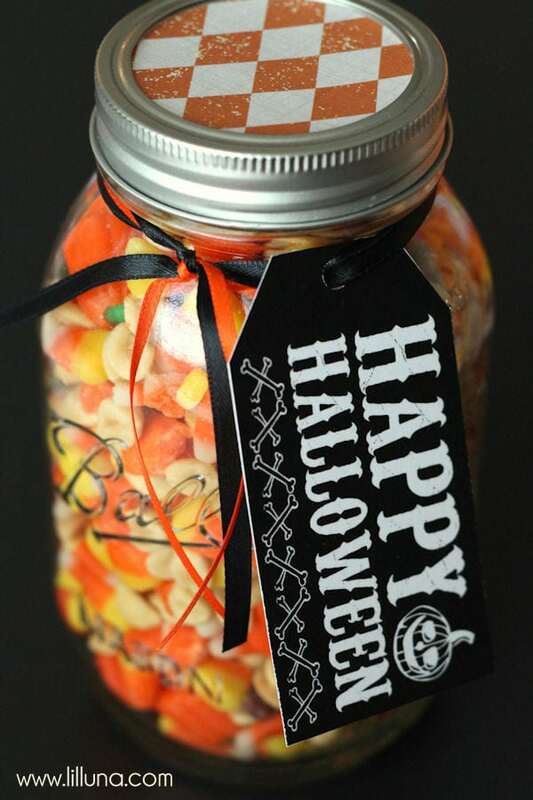 These tags can be attached to anything – jars, cute buckets, a plate of cookies – you name it! I hope you guys enjoy gift giving as much as I do, and can use these cute tags with your sweet gifts. Wow…LOVE those sweet little pumpkins gift Ideas! Thanks Kristyn for sharing such an unique information with us. I hope my daughter like this treat. The idea is great, I’m sure I’ll do it. I hope you do 🙂 You can make it to fit any holiday, just changing the candy 🙂 Thanks for stopping by!